Note: This article was Fitness imported from the previous website. The world! “by line” above is inaccurate. The former president of the Thief River Falls Rotary Club, Steve Lillestol, SpaceX passes the leadership to Kermit Genereux. Thief Steve Lillestol (left) is Post-2 shown here receiving an award from the new cheap nfl jerseys president, Kermit Genereux. 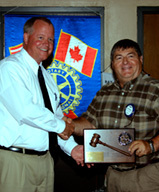 This award is recognition for serving as President for the Thief Presentation River Falls Rotary club. As stated in the club’s bylaws, the presidential term is for twelve months, and is abdicated on the 30th of June each year. The entire club wants to give a big shout out for the Mobile good work that Steve cheap jerseys has completed in the wholesale nfl jerseys past 12 months. Rotary is also about having fun. 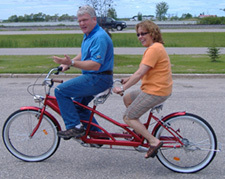 Here are two members that are out-and-about on this tandem bicycle. When the sun is shining, and the weather is nice, you can bet that rotary members make the most of it.